Dan Gilroy’s dynamic directorial debut Nightcrawler finds Jake Gyllenhaal in the middle of a fascinating character study that also manages to operate as a first-rate crime thriller and a piece of well-tempered social commentary. Gyllenhaal finds one of his very best roles in Louis Bloom and he crafts a visceral and vicious performance that should merit Oscar consideration in the coming months. Bloom is, above all, an opportunist. He observes the world from a detached, objective point of view devoid of any semblance of moral or ethical code. He steals anything from copper fencing to an unattended bicycle with no remorse and the sole intention of getting ahead of the pack. One evening, he happens upon a fiery car accident and takes intense interest in the video journalists that quickly swarm the scene. He engages one of the “nightcrawlers,” played by Bill Paxton, and soon enough, he finds himself hitting the Los Angeles streets with nothing more than a video camera and complete lack of journalistic integrity. After a series of increasingly provocative news tapes, he piques the interest of the city’s most desperate local news director, played by Rene Russo. He also takes on a struggling homeless man as his oft-berated and beleaguered assistant, played by Riz Ahmed. Bloom’s obsessive workmanship often plays like the demented confluence of every self-help and success based audiobook played on repeat. He has every conversation as if it’s a job interview and even lectures a potential employer about promise of job loyalty from generations past not being afforded to the current job market. Clearly he has drive but it’s never made clear what he’s ultimately after. This kind of empty ambition seems like the making of a potentially dull character but Gyllenhaal somehow makes Bloom compulsively watchable throughout, much like the footage that his character films every night. Gilroy makes it clear that we’re in antihero territory throughout this film and as that’s the case, it boasts the kind of narrative thrust and frantic unpredictability of other genre greats like Taxi Driver and There Will Be Blood. We are shown these men doing, saying and thinking terrible things, but we can’t look away. We want to see them get it but we’re also still somehow rooting for them, if only for the fact that the director has taken away all other rooting interests. I’m admittedly not the biggest fan of car chase scenes but I would count the one in the film’s third act as one of the year’s most effective, mainly because I still cared about Lou’s fate throughout. My main misgiving with Nightcrawler comes down to the music score by James Newton Howard, who is obviously an accomplished film composer but simply out of his element here. The electric guitar motif on the title track is far too hopeful and proud to represent a character like Bloom and oboe/string combination that underlies a scene between Gyllenhaal and Russo is incredibly maudlin and unnecessary. In fact, I would have preferred more scenes with less or no music to interfere with Gilroy’s well-crafted dialogue. 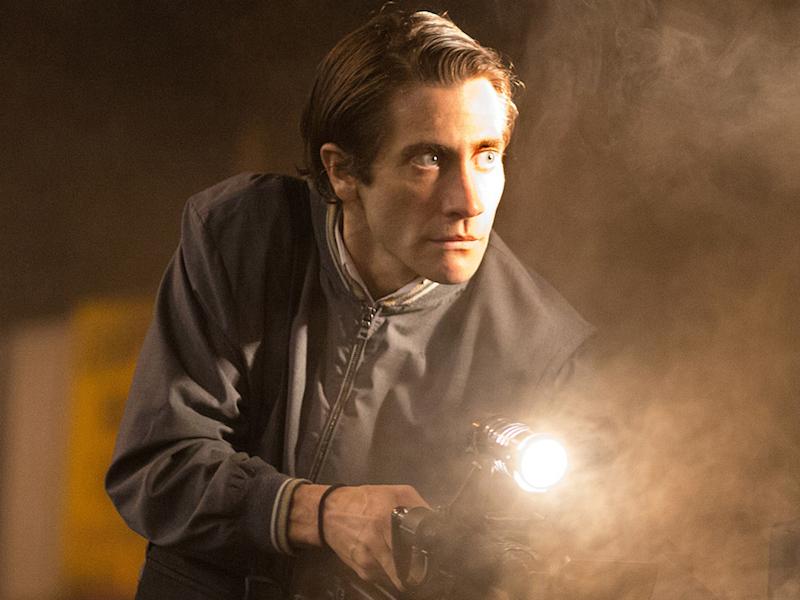 That aside, Nightcrawler is a transfixing thriller with plenty to recommend.